Americans and Serbs from all over the United States and Canada gathered together on May 31, 1994 in Chicago to celebrate the 50th anniversary of the 'Halyard Mission' rescue operation and pay homage to the American veterans of World War II and the Serbs under the command of General Draza Mihailovich who had saved their lives. The 'Halyard Mission' was the name given to the greatest rescue of American and Allied lives from behind enemy lines in the history of warfare. It was a day of celebration, rememberance, gratitude and tears. For those that attended, it was a moving and unforgettable event. 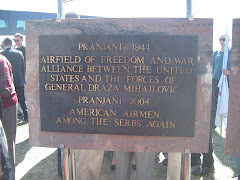 For the guests of honor, it was an opportunity to tell a story of epic proportions.Fifty years before, in 1944, Serbian General Dragoljub Draza Mihailovich, his Chetnik forces, and the Serbian people loyal to them, saved the lives of hundreds of Allied fliers who had been stranded in Yugoslavia after having been shot out of the skies by the Germans while flying their bombing missions over the Ploesti oil fields of Romania. The Allied Ploesti mission was to destroy Hitler’s main supply of oil at the time and bring the Nazis to their knees. Many of those who survived the severe German retaliation would end up wounded and stranded in Yugoslavia, but would be saved, taken care of, and returned back to safety through the Halyard Mission rescue operation of 1944. In 1994, 50 years later, this rescue operation, which had more or less remained hidden from history for the past half century, was brought into the light of day on a grand scale for the first time. This great feat, the Halyard Mission rescue operation, was officially noted in all of the releases and information disseminated by the World War II Commemoration Committee in recognition of the 50th Anniversary of D-Day. That committee, chaired by Colonel Kenneth A. Plummer and overseen by the United States Department of Defense, organized a weeklong celebration in Chicago, Illinois in conjunction with special events taking place throughout the world to commemorate the milestone anniverary. This five-day D-Day 50th Anniversary commemoration celebration in Chicago opened with the commemoration of the 50th anniversary of the successful 'Halyard Mission' rescue operation. This mission was a combined project of the American Strategic Services (O.S.S. - precursor of the C.I.A.) 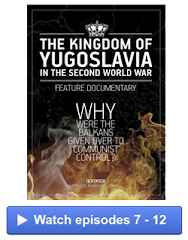 under the command of General William J. Donovan, Lieutenant George (Guv) S. Musulin, of the O.S.S., an American of Serbian descent, and General Draza Mihailovich and his Serbian chetnik freedom fighters in the former Yugoslavia. 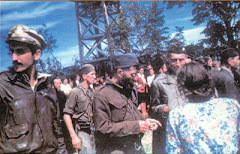 For different reasons, and always less than noble ones, the Halyard Mission rescue operation that took place over the course of the Summer, Autumn and Winter of 1944 in the German occupied Serbian areas of former Yugoslavia, was kept hidden from official public recognition and covered up, to the point of being left out of the historical texts relating to the World War II era altogether. The Halyard Mission became a casualty of political supression but through the tireless efforts of those who knew the history and the significance of this great event, many of them personally who had lived it and are now deceased, this epic heroic story is now increasingly seeing the light of day. 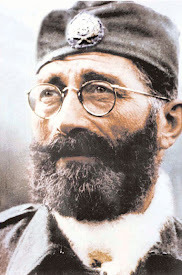 On May 31, 1994 in Chicago, Illinois, as the world began it's commemoration of the 50th anniversary of D-Day, a fifty year debt of gratitude was repayed to Serbian general, Dragoljub-Draza Mihailovich, who was, and remained, the greatest hero of all to those who knew the measure of the man. 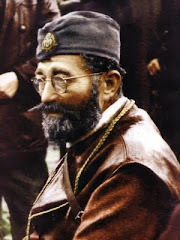 As the festivities and commemorations continued throughout the week, the Serbs would be the only ethnic group so recognized for their contribution to the Allied war effort. The 50th Anniversary celebration of the Halyard Mission began at the Swiss Hotel the night of Monday, May 30, 1994 with a reunion of the Allied airmen who had taken part in the Ploesti bombing missions and subsequent Halyard rescue operation A private party was held for the war veterans and U.S. liaison officers and personnel, such as Captain Nick Lalich and Major George Vujnovich, and J.B. Allin, who had come to Chicago to attend the celebration, and the party provided an opportunity for the old buddies to reunite and reminisce. Present also was the honorable Edward J. Derwinski, former Secretary of Veterans Affairs. With all the talking and laughing, it was easy to forget for a moment the historical significance of this reunion and the event that had inspired it. Memories were shared, and the younger people present had the opportunity to witness the bond these men still shared after so many years and miles apart. The official Halyard anniversary celebration began at Noon in Daley Plaza in Chicago. The sky was overcast and the Chicago wind greeted the thousands of Serbs and Americans who had gathered in the plaza to pay their respects. The Black Sheep Squadron and a full drum and bugle corps was present to open the ceremony with the presentation of colors. Colonel Kenneth A. Plummer was master of ceremonies and on the stage stood the American and Canadian airmen who had come to Chicago, along with O.S.S. officers Vujnovich and Lalich and the Honorable Edward Derwinski who was responsible for uncovering decades long classified Legion of Merit Award that had been posthumously awarded to General Draza Mihailovich by President Harry Truman. They were escorted by several officers in training of the Junior ROTC program in the Chicago school system, led by Colonel Julius Taylor. Colonel Plummer welcomed the dignitaries and the public who had gathered. Along with the war veterans, the official dignitaries, and the public, also present for the celebration were a number of young members of ROTC from the various schools throughout Chicago, and members of different foreign consulates in the city. 14 year old Chervonne Johnson sang a beautiful and rousing rendition of the American National Anthem. Colonel Plummer then asked the Serbian Orthodox priests sitting among the American airmen to give the invocation. After the moving blessing, he brought Major Richard L. Felman and Captain Nick Lalich to the podium. Both men, veterans of World War II, acknowledged the great feat and sacrifice embodied in the Halyard Mission rescue operation, with Major Felman issuing a heartfelt “Thank You” to the Serbian chetniks who had saved the lives of the American airmen who had survived the war to be present at the festivities that day, 50 years later. Colonel Plummer then acknowledged the Rebic family and the City of Chicago for hosting the event. With the emotional opening ceremony finished, all present were asked to step outside to the Eternal Flame for the laying of the wreath to memorialize those American fliers who had lost their lives in the bombing missions over the Ploesti oil fields in 1944. Major Felman laid the wreath at the eternal flame. Major Felman was wearing the full uniform of the U.S. Army Air Corps that he had worn in combat 50 years before. Among those standing by the flame was O.S.S. officer Major George Vujnovich, who held his hand over his heart As the wreath was quietly laid many of those who had gathered there shed silent tears for all the patriots who had been sacrified for the noble Allied cause. Photo of the wreath laying at Daley Plaza by A. Rebic from the Rebic collection. From the Daley Center, the celebration moved to the Swiss Hotel, a beautiful hotel on the shores of Lake Michigan off of Lake Shore Drive, Chicago’s most scenic roadway. Commemorative displays lined the tables in the reception area, and they included many photographs of the protagonists of the Halyard Mission, with rare photos of the Allied airmen, the Serbian chetniks and, the U.S. liaison officers, and General Draza Mihailovich. 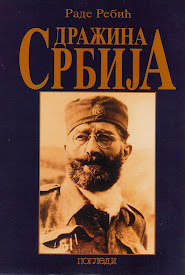 Volumes of testimonies about the efforts and successes of General Mihailovich and his Serb patriots in saving the Americans who had been stranded in Yugoslavia during WWII were also on display. 400 handsome brochures titled “The Halyard Mission” from the 1946 issue of the “Blue Book”, written by U.S. Lt. Commander Richard W. Kelly, were available as a souvenir of the event. The airmen were kept out of the great ballroom until everyone was seated. To open the ceremony, the airmen were escorted into the room accompanied by a film of the mighty B-24 aircraft and the March of the U.S. Air Corps playing on the big screen. Admiral Mack C. Gaston, representative of the United States Department of Defense, present in uniform, greeted each of the airmen as they lined up on the stage. He shook their hands and thanked them for the great service they had done for their country. After the airmen took their places at their tables, Colonel Kenneth Plummer called on the Serbian Orthodox priests present to give the invocation. Lunch was then served and during the meal American aircraft were shown on the big screen, accompanied by the patriotic songs popular with the American soldiers during the war. The commemorative program and tribute began after the luncheon, hosted by Masters of Ceremonies Colonel Kenneth Plummer and Aleksandra Rebic. Following the reading of the telegram, the State of Illinois and State of Ohio proclamations designating May 31st, 1994 as “Operation Halyard Day” were acknowledged. The first dignitary to speak was the Honorable Edward J. Derwinski, who had come from Washington, D.C. to be present at the event. He set the tone for the commeration by a giving a compassionate, moving description of the significance of the Halyard Mission event and the cover-up that surrounded the story having been kept hidden for so many years. 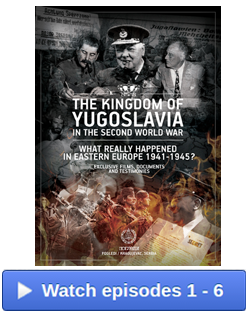 He reminded the world how General Mihailovich was not only betrayed by the Yugoslav communists but by other political forces that had a vested interest in keeping the Halyard Rescue Mission operation one of the best kept secrets of the 20th century. Mr. Derwinski was the person chiefly responsible for getting the esteemed “Legion of Merit” medal that had been posthumously awarded to General Mihailovich in 1948 declassified after 20 years of it being kept a national secret. He spoke quietly and emotionally, and at the end became visibly moved, bring tears to the eyes of many of those present. He received a standing ovation and was greeted back at his table by the airmen who remembered well his great service not only as a congressman, but as the former Secretary of Veterans Affairs in Washington. This was a friend, not only to them, but to the Serbs as well, for his outstanding service on behalf of truth and justice with regard to the Serbian contribution to the Allied cause. Congressman Luis Gutierrez, a representative from Chicago in Washington, D.C. spoke next, stressing how much there was to learn from such commemorations and how important it was to explain to his children about events such as Halyard that were being honored and remembered on this anniversary. “We know very little about some of these things,” said Gutierrez. Featured speaker Hershel Gober, then Deputy Secretary of Veterans Affairs in Washington, D.C. came to the podium and expressed that this was an emotional meeting of the saved and their rescuers. He thanked both the Americans and the Serbs for their extraordinary service to mankind, and stressed the significance of this celebration for its influence on the younger generation of Americans, many of whom were in the audience that day. 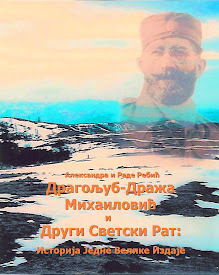 Colonel Plummer then announced that Mr. Voja Mihailovich, the grandson of General Draza Mihailovich, who had traveled to Chicago from Serbia, was in the audience. Voja was greeted with spontaneous applause as the audience rose to give him an ovation. For most in the room, this was the only opportunity to see in person one of General Mihailovich’s living legacies. The program continued with what for many was the highlight of the celebration. Retired Major Richard L. Felman of the United States Air Force came to the podium in full uniform. 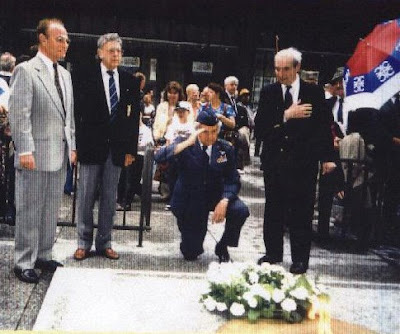 Major Felman, being a prominent rescued airman who had remained active in seeking justice for General Mihailovich from the time he was rescued in Serbia to this moment a half century later, spoke for all the airmen. He gave a rousing, passionate, and moving tribute to the Halyard Mission protagonists and pulled no punches. He was determined, he declared, to say on this day everything he had wanted to say for 50 years. He did exactly as he promised, mesmerizing the audience with his story, providing both excellent insight into and a great education about the great historical event he had directly participated in. His tribute served as an inspiration to continue the quest for truth and justice. 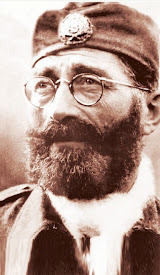 It could not end there, that day, but must continue, he told the audience, passionately declaring that it had to continue until General Mihailovich and the Serbian people were justly recognized and given their due for their great contribution to the Allied cause. Major Felman became visibly moved a number of times during his presentation. He had never forgotten his debt of gratitude, and never would. Felman would continue his quest to secure public recognition of the Halyard Mission Operation as one of the greatest moments in history until the day he died. Following his speech, Major Felman presented the George S. Musulin Award, established in 1994 for the first time, to symbolically honor those airmen who had left on their mission to secure the end of WWII and never returned. Colonel George S. Musulin, an officer with the O.S.S. in 1944, was the man primarily responsible for initiating and bringing to fruition the Halyard Mission Rescue operation. The award was presented to Colonel Musulin’s daughters who were present to receive it. The event reunited a number of members of the Musulin family who had not seen each other for quite some time. For the George S. Musulin Award presentation two portraits done by Aleksandra Rebic that had been covered by the American flag were uncovered. 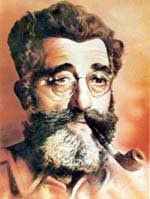 One was a portrait of O.S.S. Colonel George Musulin and the other was a portrait of a young woman and her two children, a boy and a girl, looking wistfully to the skies as planes flew overhead, waiting for her husband, and their father to return from his mission, hoping in their hearts that they would seem him come back to them alive. As Major Felman descended the stage, he was welcomed with a rousing standing ovation. 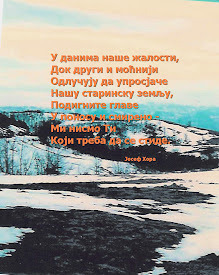 The Serbian priests began singing the beautiful “Na Mnogaja Ljeta Ziveo” which means “May you live many years”, and the Serbs in the audience remained standing, singing in harmony with the priests. Major Felman wiped tears from his eyes as someone in the room explained the meaning of the song to him. He would say later that he would never forget that wonderful tribute and how much it meant to him. A montage film presentation of Allied Air Force operations during WWII followed on the big screen, with the “Battle Hymn of the Republic” playing in the darkness of the room. For the airmen this was an exceptionally emotional moment as they were taken back 50 years to the heroics of their youth and what they had meant to their country. Last to speak was former O.S.S. liaison officer Captain Nick Lalich, who coordinated the very last evacuation in December of 1944 of Allied airmen from behind enemy lines that had been rescued by General Mihailovich and his Serbian forces. He read directly out of the diary that he had kept during the Halyard Mission operation and concluded with his good-byes to General Mihailovich. Captain Lalich would turn out to be the last American to see General Mihailovich alive. He was yet another man who had been part of history and was there in Chicago on May 31st, 1994 to relive those memories and pass them on in tribute and rememberance. For this American born Serb, it was a “coming home” of the people with whom he had shared the moments that were being so vividly recounted on this special day. The audience sang “Na Mnogaja Ljeta Ziveo” for him as well, as he ended his poignant tribute with his good-bye to General Mihailovich, and he, too, was brought to tears. The Halyard Mission celebration closed with everyone in the room standing to a beautiful renditon of “God Bless America” as the American flag waved on the big screen in the candlelit darkness of the room. With that celebration in Chicago in 1994, the story of the Halyard Mission and the magnificent rescues of Allied airmen from behind enemy lines, was no longer to be kept the magnificent “Secret” that it had been for all those years before. So many who were there that day are no longer with us. But, I am sure, they are pleased that what they began continues, and will continue, forevermore.